This is a really dramatic wall plaque. 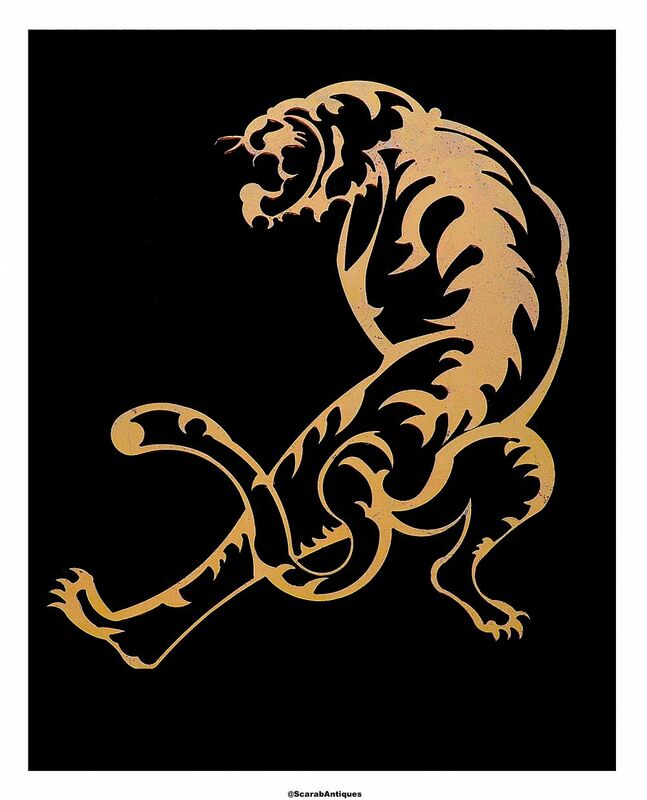 The wooden back board is black lacquered which really shows off the water jetted dull gilt metal tiger to its best advantage. Fab-u-lous!